Figure 1. 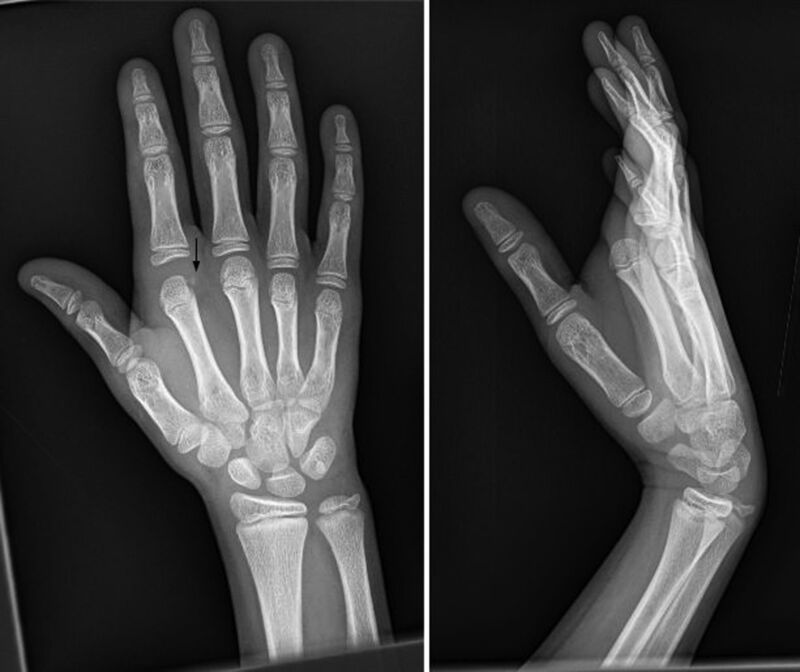 Right hand anteroposterior (left) and lateral (right) radiographs preoperatively demonstrate dorsal dislocation of the index metacarpophalangeal joint with a widened joint space and a small avulsion fracture of ulnar collateral ligament (arrow). Figure 2. 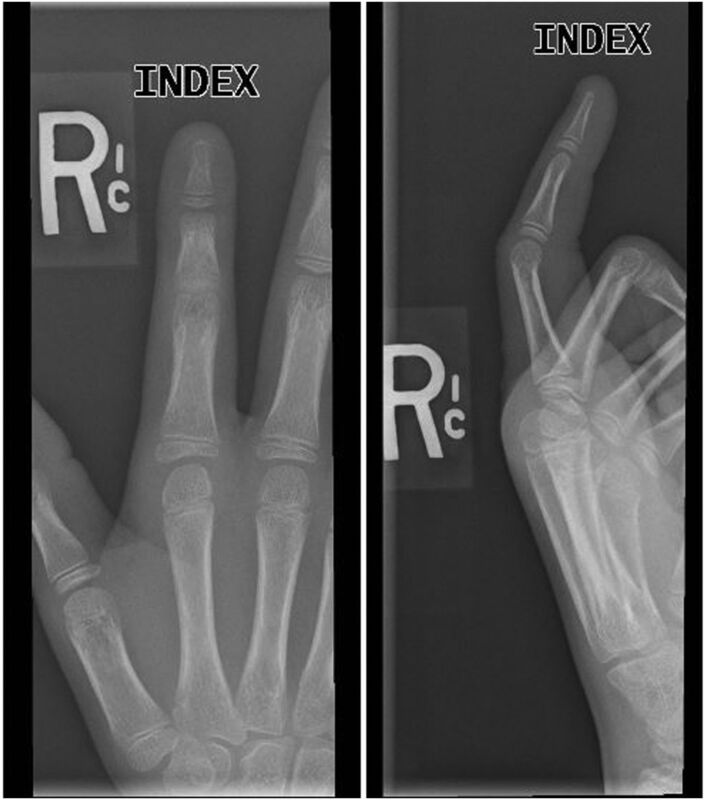 Right index finger anteroposterior (left) and lateral (right) radiographs at 4-week follow-up demonstrate a well-reduced index metacarpophalangeal joint.